Panasonic donated 2,400 solar lanterns to 11 Humanitarian and Non-Governmental Organizations in Cambodia, bringing the total number donated to the country under the project to 8,914. 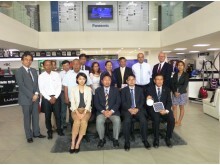 The donation ceremony was held at Panasonic Showroom in Phnom Penh. The donation marks the third of such efforts under the “100 Thousand Solar Lanterns Project” in Cambodia. 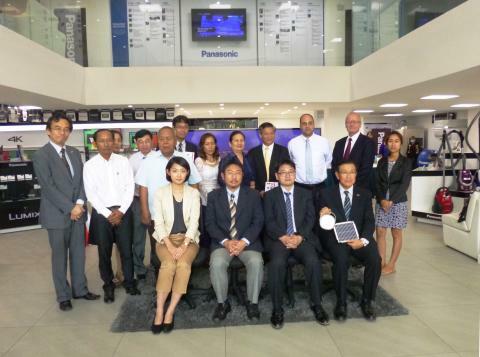 In FY 2014, Panasonic donated more than 4,000 solar lanterns to 17 organizations including the UNESCO office in Phnom Penh. 2,500 solar lanterns were donated in FY 2013 to 9 organizations including the same UNESCO office. And before the launch of the 100 Thousand Solar Lanterns Project, Panasonic had implemented a pilot project under which 2,000 solar lanterns were donated to 15 organizations in Cambodia in March 2012. These solar lanterns have been used to address social challenges faced by people living in off-grid areas of the country. Launched in 2012, the Panasonic global “100 Thousand Solar Lanterns Project” aims to create positive changes in lives of people in rural off-grid areas in emerging and developing countries through donation of 100,000 units of the compact solar lighting devices by 2018, the company’s 100th year anniversary. In Cambodia, 66% of its population is said to have no access to electricity. Availability of light and electricity affects quality of life. The “100 Thousand Solar Lanterns Project” came about with the aim to provide electric lighting to enhance access to education, healthcare and business opportunities through the use of the company’s own technology and product. Each solar lantern is attached to a solar panel. Through the use of renewable solar energy, the product not only mitigates social challenges, but also contributes to carbon dioxide emission reduction. Panasonic hopes that the donated solar lanterns will provide a better life, a better world for the people of Cambodia and that it will contribute to the achievement of the Sustainable Development Goals (SDGs).